Love French automobiles? We’ve got five to tickle your fancy. FRENCH CARS USUALLY have some bold design elements, a great sense of style and some quirky features. Plenty of French cars are mechanically quite innovative and rugged too. So, if you have a passion pour les voitures Françaises, we’ve rounded up some French fancies that we think you’ll like. The all-new Renault Koleos is the French manufacturer’s flagship SUV. It is a very handsome looking car with a spacious interior and very large boot. This particular model comes in the premium Signature Nav trim and gets full LED headlights, full leather upholstery with heated front seats, a large 8.4-inch portrait touchscreen and a powered tailgate. The DS 5 is a very distinctive and striking looking five-door hatchback. It has a good quality cabin with very comfortable and expensive looking and feeling seats. It comes very well specced with lots of equipment and does represent good value for a premium small hatch. The Peugeot 508 RXH has style, is very well specced and offers space for six-footers in the back. It is a very rugged estate car with buckets of space and a sumptuous high quality interior and it is very comfortable and capable out on the road. 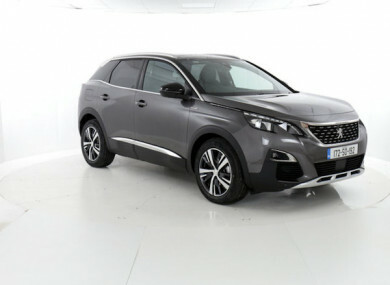 The Peugeot 3008 has a bold and daring design and looks really smashing. The interior is one of the best in class and is a wonderful mix of soft buttery leather, durable fabric, brushed chrome, soft plastics and minimal scratchy plastics. A particular highlight of the 3008 is the iCockpit and 12.3-inch digital instrument panel. The DS 4 Crossback is a more rugged version of the five-door DS 4 hatchback. There are some interesting design elements to make it stand out from the crowd including the rounded rear end and sloping roofline that gives it a sleek coupe shape. This particular model looks very chic with its monochrome exterior and it comes very well equipped. Email “5 new French cars in a tradition of bold design”. Feedback on “5 new French cars in a tradition of bold design”.